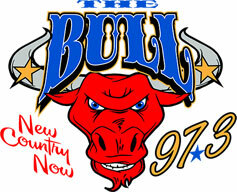 BULL 97.3 / KRJK contests are open to all legal U.S. residents, at least 18 years old, who live in the Kern Country area. BULL 97.3 / KRJK may change the dates and/or terms of any contest without prior notice. Listeners are eligible to win a prize only once every thirty days. be required to present valid government- issued photo ID to claim a prize. substitute prizes of comparable value or cash. will result in forfeiture of the prize. broadcasting material related to such contest, without further compensation. solicited, the criteria for winning will be announced (e.g., first six callers, tenth caller, first caller with the correct answer). the right to re-conduct that contest at a later time or cancel that winning opportunity and not award the associated prize. but accepting such membership, however, is not a condition of entry. announced from time to time. entrant’s ability to enter, win, view, be advised of, be eligible for or be properly considered in a particular Station contest. requestor ineligible to enter and/or win any contests that require being a “Friend” in order to participate. answered by the Station within the exact period of time announced. cancel that winning opportunity and not award the associated prize. 1. Electronic submissions of entry photos may only be submitted in the following format: .jpeg. the payment of any additional compensation to you. agrees to sign any documents requested by Station to evidence such transfer of ownership. way Station’s right to deem anything else unsuitable content. VI. No more than one (1) photograph may be attached to any entry. Station deems desirable, in its sole discretion). process, procedures or contest rules at the event may result in immediate disqualification (in Station’s sole discretion). event on the rescheduled date (and no alternative opportunities will be offered). BULL 97.3 / KRJK at 3223 Sillect Ave, Bakersfield, CA, 93308 Attn: Promotion Rules.